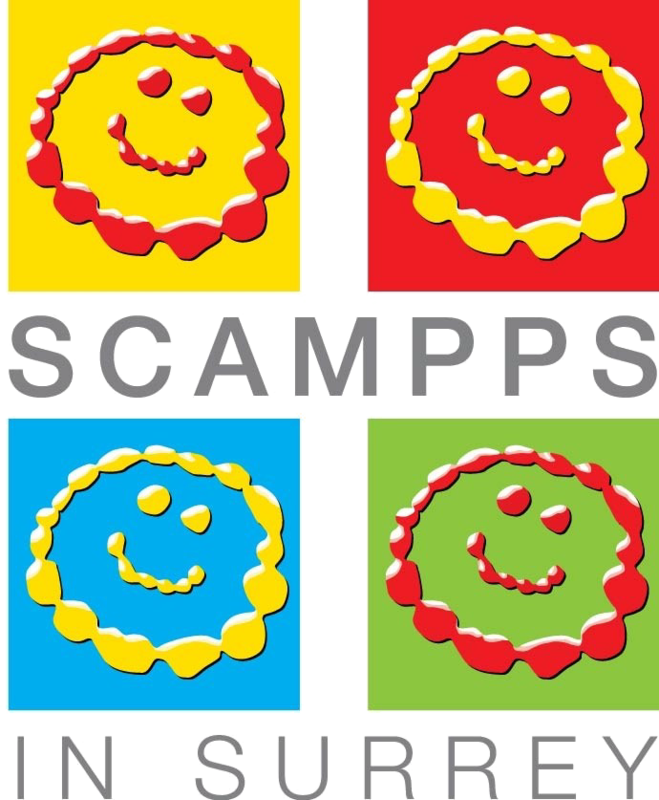 SCAMPPS doesn’t endorse any of the information listed here, but sometimes it is nice to know that a product or service has been successful for some of our other members. We hope this will become the place you choose to share recommendations and tips. If you have anything you would like to add please let us know. Please note that the information shown here has been supplied directly from our members and is posted here in good faith. Prices listed will quickly be out of date, but have been left in to give you a general idea of cost. An absolutely fantastic book about dietary difficulties and Autistic Spectrum Disorders written by a mother who knows! This book is not about picky eaters, but rather about children who have aversions to most food because of real fear and an intense dislike of textures etc. The author interviewed many parents, children and professionals and their advice forms a great aspect of this brilliant read. And best of all it is written with a great sense of humour, which is very uplifting when you have to face the harsh realities of life. This book is a Must-Read for any parent going through these difficulties. A fantastic handbook that you can dip into as and when you need information about Down syndrome. It covers a wide area: from feelings and reactions to diagnosis; explaining what Down syndrome is and what causes it; the physical, mental and social characteristics; and the development of children with Down syndrome. It is very readable and positive, and it goes on to acknowledge the challenge facing parents and professionals to focus on the child and not solely on the disability. An inspirational story of a woman bringing up her (initially undiagnosed) children with special needs and her battles to get funding/schooling/help for them. A real heartstring puller. This book is full of games which are structured to help aid development. There are different sections covering Cognitive, Language, Physical, Sensory, Social and Emotional development. Under each heading is written a theory which is followed by games which can aid the development. Although some things have already been suggested by Physio, OT and Portage it has given me more ideas to expand on their suggestions. Well worth the read and I have found it invaluable even if it’s just for reference alone. This is a great compilation of sixty individual accounts of the Autistic Spectrum, written by family members (One of them a SCAMPPS Member! ), professionals and people with autism. These are the faces and heartfelt stories behind all the facts you read about autism. It aptly demonstrates the diversity within autism and covers a vast array of topics. A great read and the editors are donating their royalties to UNICEF. A collection of simple verse with great rhythm and fun words (bang, crash, beep-beep, wheee, quack-quack). Very good for vocalising. A lift the flaps book with a repetitive format – lots of animals and excuses to make animal noises & an introduction to adjectives: big, tall, scary, small, naughty etc. This is a great picture book for explaining this part of the toileting process for those who might be reluctant to do this without a nappy. Fantastic for children who have very little language as the pictures are so good. This is a wonderfully illustrated book about all sorts of pants and knickers. It is a fun book with great rhymes, brilliant for demonstrating that most people do not wear nappies. A story about trying to get to sleep with lots of noises to join in with: snoring, tick-tocking, miaaaowing. The repetition of “Oh, NO!” each time a new noise is heard is good for encouraging vocalising. Our SALT recommended my son listen to AudioCDs to help him become exposed to new vocabulary. For reluctant or unconfident readers it is a good technique to expand their vocabulary. There is a great selection out there these days. We get ours online at Amazon or Red House which is an online bookshop that doesn’t charge for postage. I would like to recommend the whole series of Horrid Henry. My son who is on the Autistic Spectrum hates it when people break the rules. This series was a great way of seeing the funny side of other people being naughty sometimes. The whole series is also available on AudioCD. This was handy before he became confident with his reading. St. George’s Church in Ashtead runs a coffee bar that employs adults with learning disabilities; Cafe ALDAG. Why not go along to support them? The cafe is open on Mondays and Tuesdays, during school term time, from 9.00am – 2.30pm and serves snacks, drinks and light lunches. Swimwear and Bibs for children who are disabled and in wheelchairs as well as Vests with poppers underneath for older children can be purchased from racketys.com. Legoland Comes highly recommended for younger children. They offer a great guest service for families who have children with special needs. Although you pay for the child, the carer goes free. You do need to bring proof of you child’s disability, such as your DLA award notice, and you do need to buy your tickets through the park. They will give your child an exit pass, which means they can access the rides from the exit gates without having to queue, and up to 3 guests can accompany the child this way. Natural History Museum Already a free place to visit, but I would like to mention their fast track system. If you would like to see the dinosaur exhibit, just mention to a member of staff that your child has special needs and you won’t have to queue. You do miss the first part of the exhibition, but you get to see the main attraction of T-Rex along with the second half of the exhibition. It certainly beats queuing for 30-40 minutes and no proof was required which is an obvious benefit to those children whose disability is not visible. Wheelchair and pushchair entrance to the museum is from Exhibition Road. Thorpe Park does not have a huge amount of rides that our younger or physically challenged children are able to access. However, they do offer a free helper ticket to disabled guests. Disabled guests who are unable to queue may be eligible for a Ride Access Pass for themselves and up to two helpers. The wristband given will allow the disabled person and the helper to bypass the queuing system usually via the exit or designated entrance designed for ease of access. They do have a Farm and Railway however only open during peak season. Not as tiring on the legs as Legoland was. High Chair. Although not specifically designed for children with special needs and a little bit pricey, I have found the Trip Trapp High Chair invaluable for my son with Down syndrome. With completely adjustable seat height and separate foot rest, it allows him to be properly supported with good posture at our table. Being comfortable, has enabled him to sit racketys.comfor longer at meal times and to be more focused for therapy. The chair can be continually adjusted over the years until finally transforming into a proper adult chair. You can buy a baby kit suitable from around 5 months. Available in a range of colours, we ordered ours online at backinaction.co.uk/tripptrapp. Tommee Tippee Plate Gripper Suction Mat. This is a fantastic invention. It is a rubber mat that grips the high chair and the bowl or plate to stop children knocking over their food. Dishwasher safe and it rolls up for taking out and about. You just press your dish, plate or bowl down firmly on the suction pad. They advise Tommee Tippee bowls, plates and food pots work best, but I have found most of our bowls do stick including ones from Ikea. I found mine at Mothercare. Leighton’s Opticians. We get our sons glasses from Leighton’s Opticians in Epsom following recommendations from other parents. They are great with little children and are very happy to straighten out his frames whenever we pop in (fairly frequently!). Collisons Opticians at Sutton Eye Hospital run the Low Vision Clinic. You have to be a patient at the hospital or referred by your GP. They ordered special magnifiers for my son which we are able to borrow to help him with his reading. On the following pages are some top tips from our members. We hope you find the information helpful. We cannot endorse the tips here, so please consult your professionals if required. To contribute to our collection of Tips please contact us.